DevOps trends show that, in 2019, large enterprises are accelerating their migration to the cloud and defining goals for the number of applications to migrate over the coming year. To set themselves up for success, companies are not only looking for the right people and processes, but also the right technology for helping them transition to the cloud in a controlled fashion—without throwing compliance, auditability, and security out the window. So how can organizations gain visibility into which versions of their applications live where, even when running on containers in some environments and on legacy infrastructure on others? And how can they reuse existing environment-specific configurations? 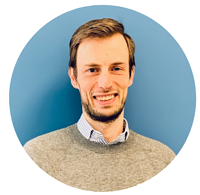 As a member of the XebiaLabs family since 2011, Vincent has served a variety of roles both in the Netherlands and United States. His career started in the DevOps trenches working as a software engineer, scrum master, architect, and DevOps consultant in various industries and countries. With a background in model-driven software engineering, Vincent is a bit of a polyglot, known for loving both compilers and Abstract Syntax Trees. * REGISTER AND ATTEND THIS ENTIRE WEBINAR AND 5 PEOPLE HAVE THE CHANCE TO WIN A $50 AMAZON GIFT CARD RIGHT ON THE SPOT!